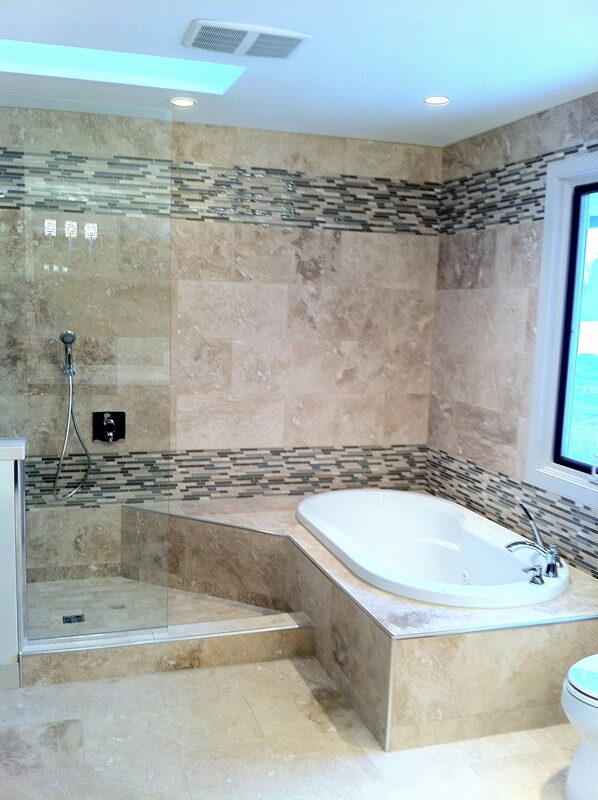 Floor to ceiling travertine, a large walk in shower and dedicated make up station make this a unique and sophisticated master ensuite. 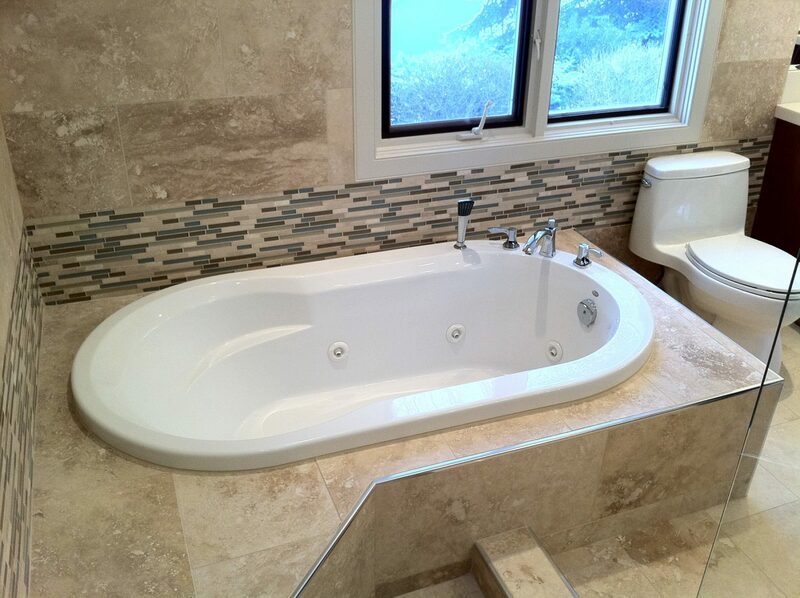 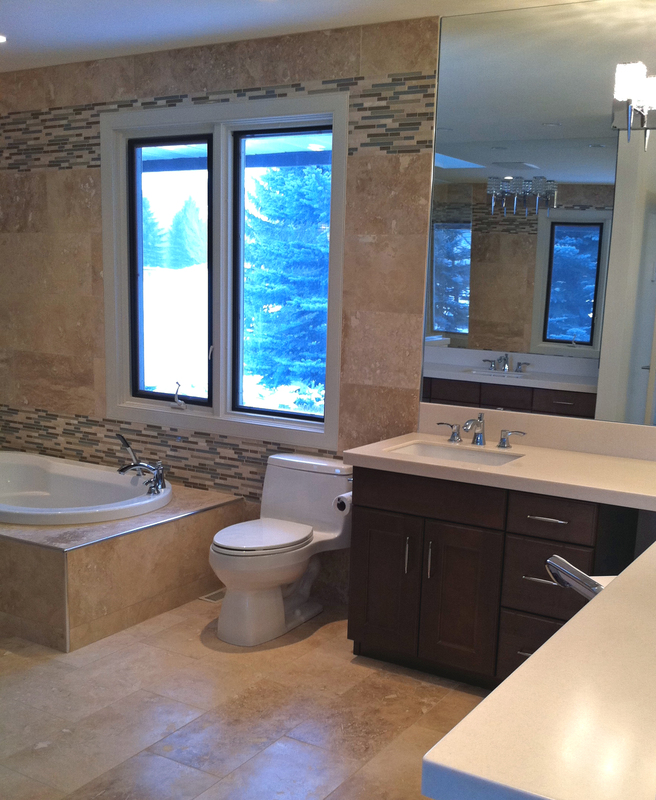 A deep jetted soaker tub with hand held shower make this the perfect place to relax and soak. 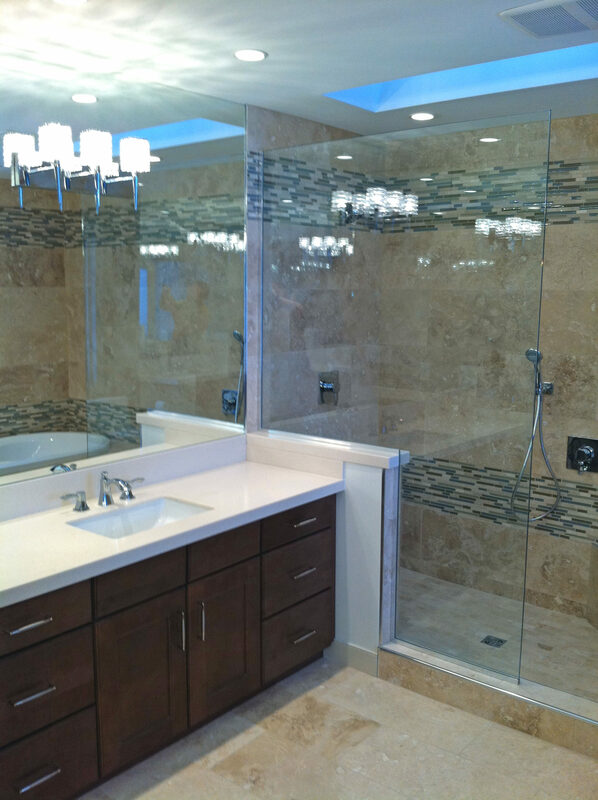 The over 6′ long shower is an easy walk in with multiple shower heads. 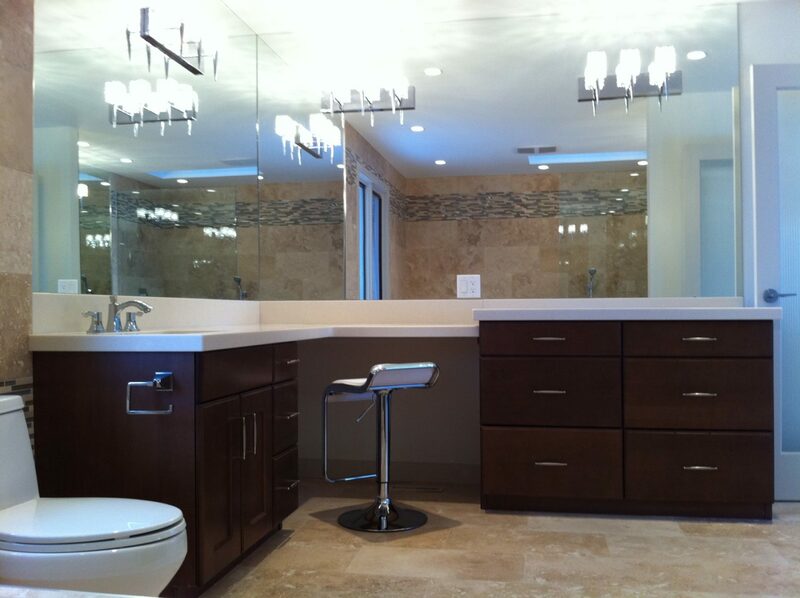 His and her vanities give ample space to both persons using this elegant and functional room.